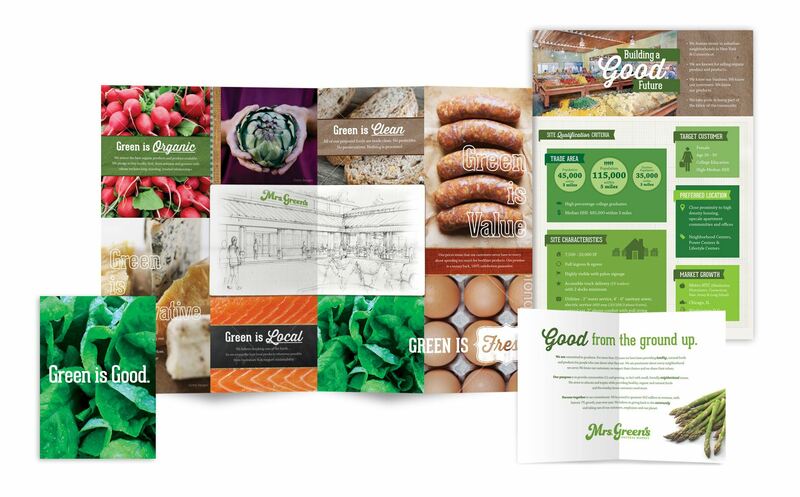 HEILBrice recently developed a new brand identity and in-store experience for Mrs. Green’s, a Natural & Organic Food chain in New York. 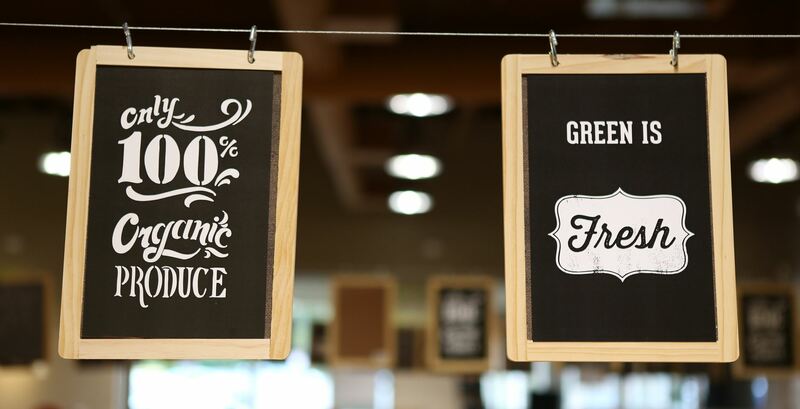 Mrs. Green’s operates more than 30 stores, but their locations were all in disparate phases of development, and there was no consistency with brand promise, look & feel or communication. There was one key component that held all of their offerings and corporate culture together. 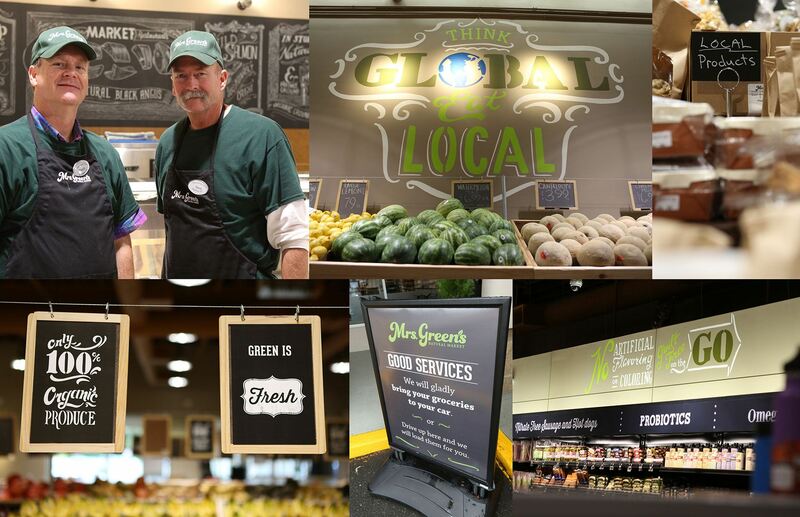 We relaunched them with a fresh new look including an updated logo, a clear and differentiating brand promise, a comprehensive in-store communications package and compelling advertising to introduce consumers to the new Mrs. Green’s Natural Market. At HEILBrice we pay attention to every last detail. 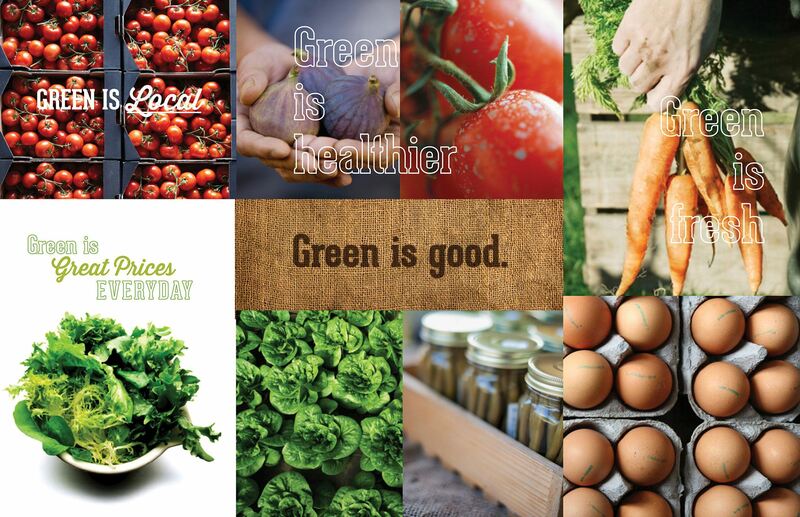 We wanted to make sure the brand was consistent throughout the entire Mrs. Green’s experience. 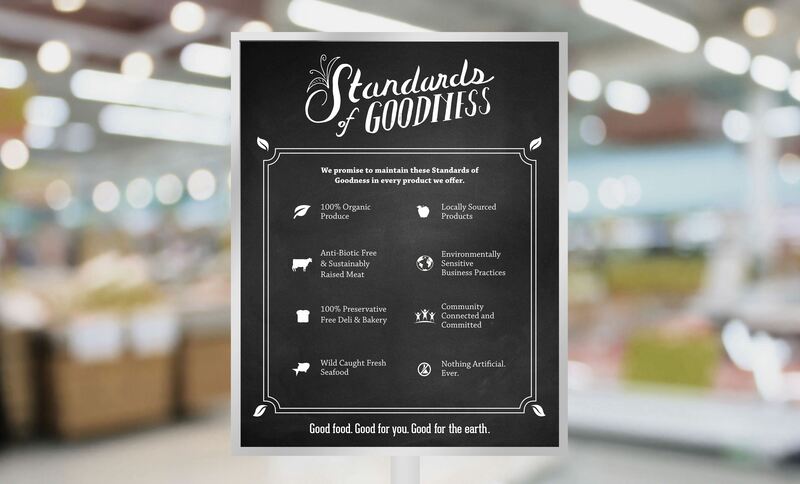 This also included developing a “Standards of Goodness” that sprouted their company core beliefs. These eight philosophies became integral with every thing they did. And to display full transparency we broadcasted it throughout the store and marketing materials. 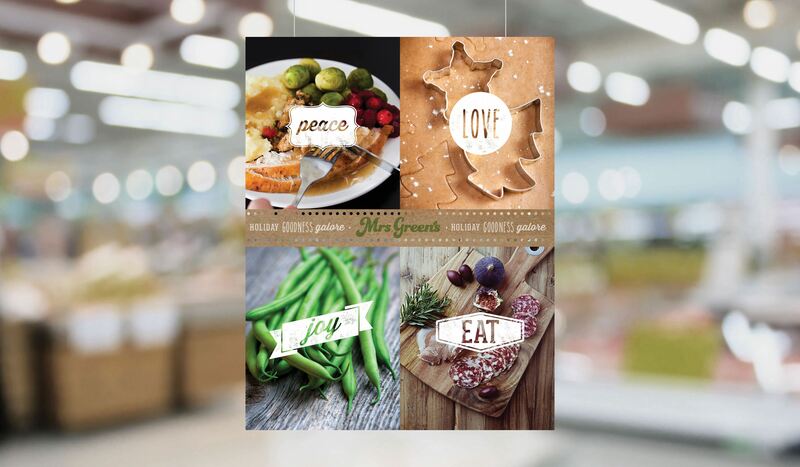 We understand how important the holiday season is for grocery markets. So we developed “Holiday Goodness Galore” to help inspire everyone to go natural and organic for the holiday season. Because nothing is more important than what you serve the people you love especially around the holidays. The goodness spread. The Mrs. Green's rebrand and new campaign helped invigorate the brand as they opened up four new stores the following year including a new landmark location in Chicago.